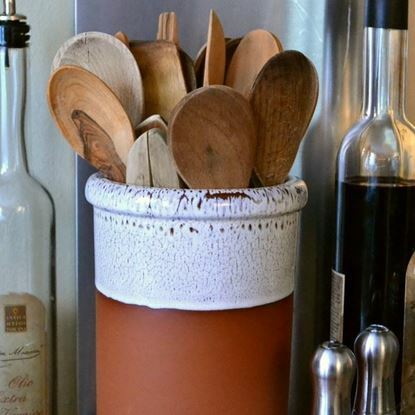 This practical & sturdy utensil jar with rustic apple glaze will be a perfect addition to any kitchen providing a convenient home for those wooden kitchen utensils. 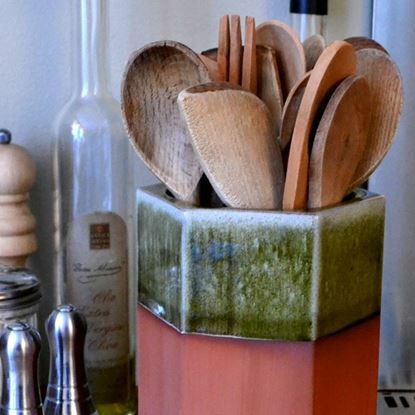 This rustic glaze finish is achieved by dipping the pot into two glazes which melt & react with each other in the kiln creating unique effects each time. 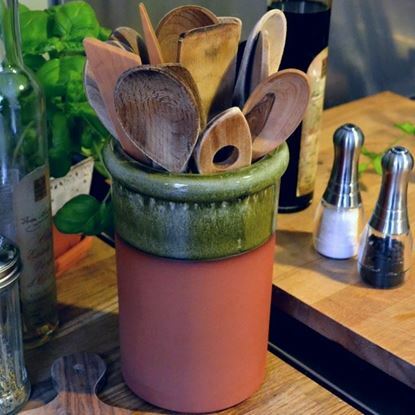 Shades of greens combine to complement the terracotta. 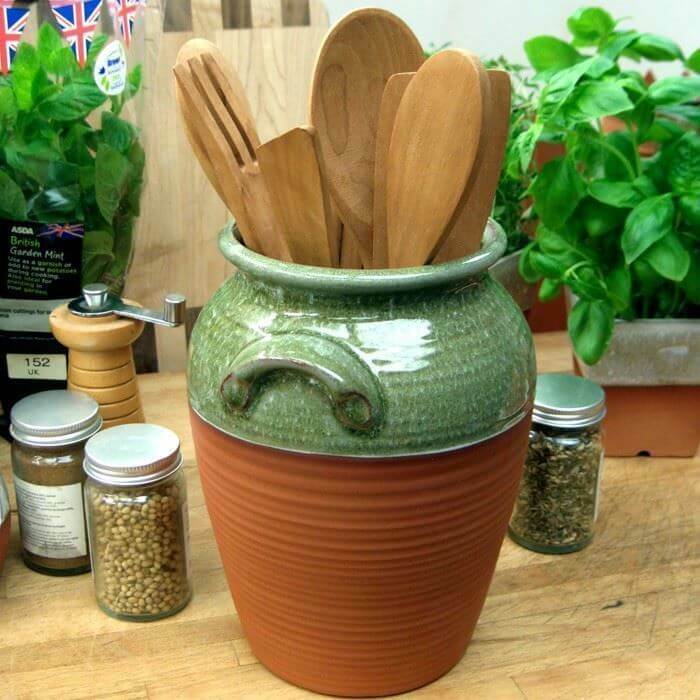 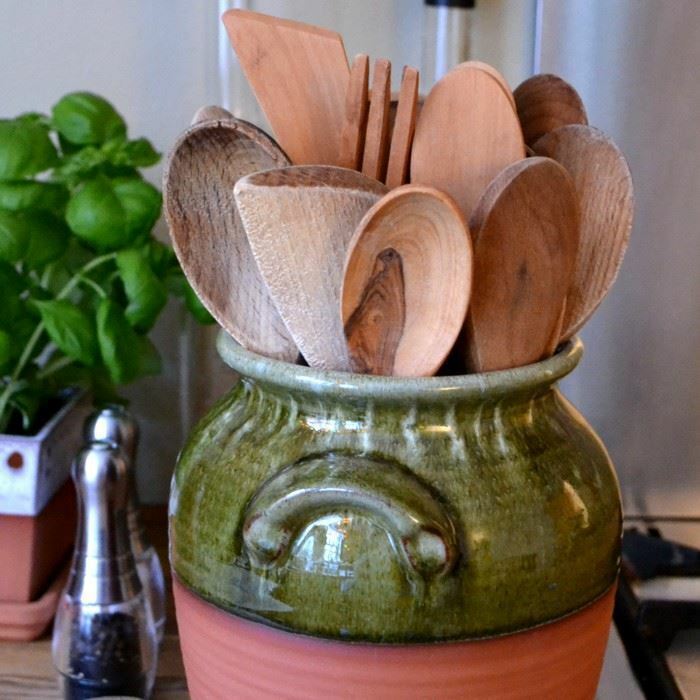 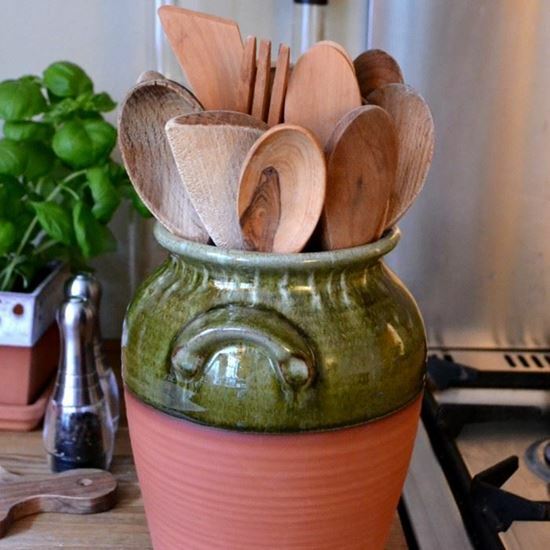 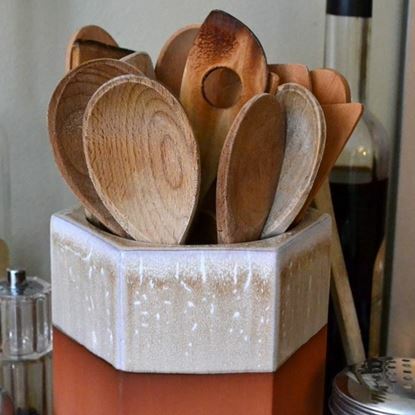 Keeping your utensils tidy as well as readily handy in your kitchen has never been so rustically stylish!